Trianon is hosting an event in memoriam Theodore Antoniou, one of the most prolific contemporary Greek composers and educators who passed away on 26 December 2018. An award-winning composer, academic and conductor, Antoniou (b. 1935 in Athens) held teaching positions at leading universities in the USA and was commissioned works by some of the most established orchestras in the world. His contribution in the development of a small but active community of contemporary composers in Greece has been instrumental, and his dedication in educating young musicians and composers in Greece for decades cannot be overstated. His musical style is influenced by serial music and early atonal music, and he has composed extensively for the theatre and film. 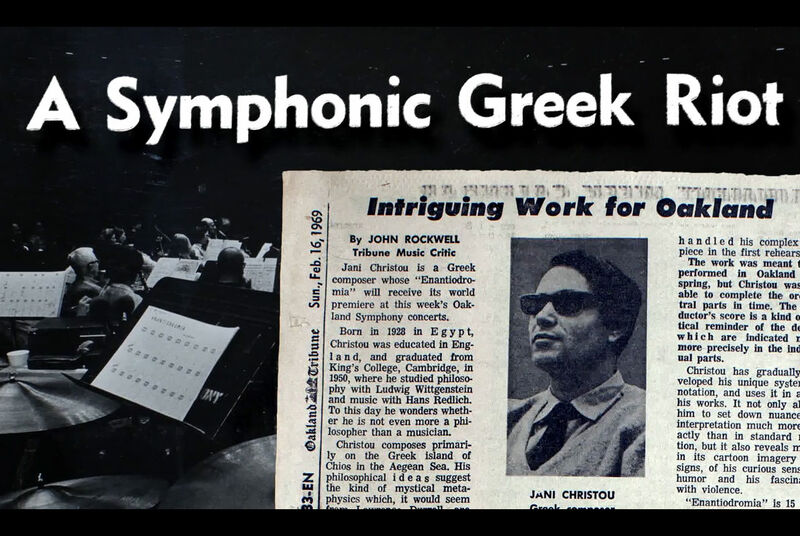 As a tribute to the late composer and his legacy, a rare screening of the documentary Anaparastasis: The life and work of Jani Christou (1926-1970) will take place on Wednesday 17 April. Another seminal figure of 20th-century Greek music, Christou collaborated with Antoniou in the last creative period of his life. The latter commissioned and presented the world premieres of Anaparastasis II, Anaparastiasis IV and Epicyclus, some of the Christou's most celebrated works. Antoniou had supported the creation of the documentary throughout its production and after its release in 2012. You can read more about the documentary by Costis Zouliatis here. The screening will also include excerpts of interviews with Theodore Antoniou. After the screening there will be a concert with piano works by Antoniou, performed by Konstantinos Destounis. Anaparastasis: The life and work of Jani Christou (1926-1970). Directed by Costis Zouliatis. Screenshot by the author for und. Athens.